Ericsson needs a range of industries to embrace 5G network services if the equipment maker is to get a long-term boost that would allow it to progress from cost-cutting to expansion. For now, the vendor is focusing on a cost-savings plan running until 2020 to shore up profitability, hoping that growth will then return as the pace of 5G network upgrades picks up early in the following decade. Having struggled with flagging revenue since 4G sales peaked in the middle of the decade, Ericsson is pinning its hopes for revived growth on the emergence of new mobile businesses in 10 broad sectors such as manufacturing, energy and public safety. Ericsson is betting that new business models enabled by 5G technology could drive an increase of up to 36 per cent in telecom industry services on top of current businesses. Operator revenue from these businesses are likely to grow only a modest 1.5 per cent per year through 2026, reaching US$1.74 trillion, half of which would come from mobile phone services and the rest from fixed-line and broadband, it forecasts. But new 5G-enabled businesses could drive up to US$619 billion in incremental industry revenue by 2026, Christian Hedelin, head of strategy at Ericsson's networks business, told Reuters. "There are enormous possibilities to address. It's up to us as an industry to make sure as much as possible of this potential value will materialise," Hedelin said. 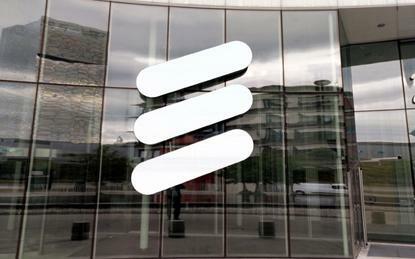 Ericsson will not project how this may translate into growth for the company. It is currently the world's second largest supplier of mobile network equipment after diversified telecom equipment giant Huawei of China and ahead of Finland's Nokia. Hedelin noted that telcos historically have invested around two to three per cent of total revenue in mobile networks, which leaves between US$35-US$70 billion for gear makers, based on implied growth rates in Ericsson's 2026 industry market forecasts. "No one is ready to break the bank," IHS Markit analyst Stéphane Teral said of budget-strapped operators' appetite for new network investments. Hedelin confirmed he expects the market for radio access network (RAN) equipment to be flat through 2020 before beginning to grow as 5G upgrades kick in for faster phones, fixed wireless video access as a substitute for fibre or cable broadband connections, and new, emerging industrial business cases. Industry research group Dell'Oro sees the RAN market rising by two per cent annually on average during the period 2017 through 2022, its analyst Stefan Pongratz told Reuters. Teral sees lower 5G revenues than those from 4G as more advanced technology with additional software and commoditised hardware delivers more bang for the buck for telecommunications service providers.